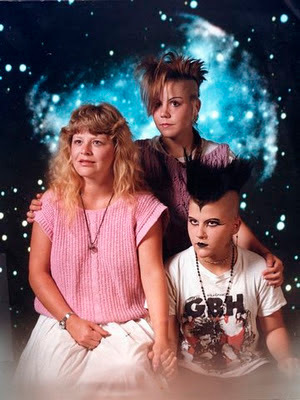 I find that I am unnaturally drawn to http://awkwardfamilyphotos.com/ I don't know if it rests in the fact that I find solace in the uncomfortable and confusing poses, but a few minutes perusing this site can brighten up any of my darkest days. Family photos are a sensitive thing for me and unfortunately it's not because I fell victim to too many of these awkward ones. When my husband and I married TEN YEARS ago, I inherited two lovely sons. Blended families are never easy, but our circumstances seemed quite ideal, and stayed that way for a long time. Unfortunately, life is unpredictable and our family dynamic changed dramatically after we'd been married about 6 years. I'll be honest, I almost never ever ever talk about it. It's incredibly emotional for me - and I can feel a burning pit grow in my stomach at the very first glimmer of even mentioning it BUT I figure that's part of my goal with this blog. Basically, I'm not going to mince words. Some time ago - actually, not too long after my last family picture was taken, my husband's ex remarried for the 3rd time. Unfortunately, after years of amiable relations, things went sour. Way sour. I'm going to spare you the nitty gritty but I will tell you that my life was turned completely upside down for a couple of years following. We're talking court, big attorney expenses, the whole nine yards. Yadda yadda yadda. Unfortunately, I lost my oldest son during this time. He was strongly influenced and no longer wishes to have contact with us. We had an incredibly close relationship prior to this (from ages 4 to almost 10) and it has been heart-wrenching. That's all I'm going to say about that. The reason I bring this all up is that I've hurdled a personal obstacle this week. While I'm feeling triumphant in some regards, I'm shaken in others. Prior to now, I've been unable to move on from the family photo I have framed at prominently hung in my family room. The photo was taken in easier times when I had both of my boys and our first daughter was just a baby. This same daughter turns 6 next week. Needless to say, it was time to update. I've been struggling with facing a family photo with one child missing. It's still very difficult for me to face and it's not something I anticipate will ever get easier. On our tenth anniversary this past Wednesday, we took our new family photos. My second oldest son is now 12, and my daughters are 6 and almost 3. Everyone was so cooperative (as well as you can expect, I suppose) and I'm incredibly hopeful that we have a few magical shots that will be perfect. We'll see tomorrow.... fingers crossed. The moral of this story? Some things will never make sense - keep on, keepin' on.